Every fantasy analyst has certain intuitions that are just too weird to publish. Luckily, years ago some genius decided to package their fever dreams and call them ‘bold’ predictions. The word bold is like a get out of jail free card. It’s great. If one of the predictions pans out, you get to call yourself a prophet and wear a wizard hat around the office. But if most of the predictions fall flat, you can exasperatedly point out that these were bold predictions, and therefore no one should have ever expected them to actually come to pass. It’s basically win-win. With that said, Here are my #bold predictions which will all totally come true (except the ones that don’t). Think of this as an unfiltered look into my fantasy football psyche. Note: all predictions assume standard scoring. 1. Tom Brady will finish outside the top six quarterbacks. Let’s get this out of the way—Tom Brady is the best quarterback of all time. That was therapeutic. Now, let’s talk about why he’s being drafted too high in 2017. Brady’s 2016 points per game were fourth among quarterbacks in points per game. In 2017, he’s going as the QB2 overall. This means fantasy managers are drafting Brady on the assumption that he’s going to significantly outplay his 2016 self (a self that only threw two interceptions all season, I might add). What justifies this optimism? Yes, Rob Gronkowski is back, and Brandin Cooks is now in town, but lack of weapons was not the limiting factor for Brady last year. Besides, losing Julian Edelman is a bigger loss than most fantasy managers seem to realize. But real problem is Brady’s age. Only one NFL quarterback has ever started 16 games in his age 40 season. Let that sink in. That player was another all-time great named Brett Favre. His 4202 yards and 33 touchdowns that year was not bad, but still would have only been good enough to be the QB8 in 2016. If you’re paying QB#2 prices for Brady, you’re buying him at his absolute ceiling and counting on him to do something that has never been done in the history of the NFL. Savvy managers don’t take those kind of risks in the early rounds. 2. Antonio Gates will score more fantasy points than any single rookie tight end. Old man Gates is on a long, slow decline, but he’s not washed yet. On the other hand, this is one of the most exciting rookie TE classes of all time, with names like David Njoku, O.J. Howard, Evan Engram, and even little George Kittle. These are names that sparkle with the effervescence of promise and youth. I don’t draft based off of effervescence. Tight ends don’t produce fantasy viable stat lines as rookies, period. 3. Jacquizz Rodgers will outscore Doug Martin this season. To everyone’s surprise, bawdy pun hero Jacquizz Rodgers excelled during his time as a starter last season. With Doug Martin suspended for the first three games of the season, Rodgers will be handed the keys. There is a chance he decides not to give them back when Martin returns. Even if Martin reclaims his starting role outright, he is one of the league’s more injury-prone backs which may open a late season door for Rodgers. 4. Andrew Luck will miss at least two games for his injured shoulder but will still be a top-4 fantasy scoring quarterback over the course of the season. Andrew Luck only just had surgery this last January in order to fix an injury he sustained in week three of 2015. Last year, an obviously injured luck limped through the season and still managed a top-four finish. The moon faced kid can play. I believe Luck will miss the first few games this season and then come on with a vengeance. He’s worth taking a flier on in the double digit rounds as a flier who has legitimate chance at top tier QB production. 5. Jeremy Maclin will score more standard fantasy points than Tyreek Hill. Tyreek Hill is a fast, shifty dude. He’s also being drafted like he’s going to repeat his WR1 performance from 2016. Yes, he scored 12 touchdowns on limited receptions, but half of those (literally!) were scored rushes and kick returns. That is utterly unsustainable. Hill is a gadget player on a low volume offense who has not proven that he can handle being the WR1. Jeremy Maclin, on the other hand, is a proven stud in a new high volume role. He’s three rounds cheaper than Hill, too. 6. Cole Beasley will score more fantasy points than Dez Bryant. Beasley had a mini-breakout last year, and it’s clear he has a rapport with quarterback Dak Prescott. Beasley had more catches per game than Dez Bryant, and that trend is likely to intensify in 2017, as the Cowboys have to lean on short dump offs to Beasley in Ezekiel Elliott’s absence. As always, Bryant is at immense risk of injury, and even when he’s on the field he is likely to be the beneficiary of increased secondary pressure as long as Elliott is suspended. 7. Odell Beckham Jr. will rank outside the top 12 wide receivers. I’m always leery of players who come into the season injured. It seems far too often the severity of the injury is not fully disclosed, or the injury lingers throughout the season, sapping performance. Odell Beckham Jr. is currently still not practicing after his second preseason game injury. Pair this with the fact that quarterback Eli Manning is clearly in decline and we’re starting to see the recipe for a bust. 8. Giovanni Bernard will be the highest scoring Bengals running back. I’m worried about that Bengals offensive line. Real worried. Likewise, it’s clear that Jeremy Hill is going to start off the year with a heavier workload than Joe Mixon, who may or may not take over by the end of the year. Meanwhile, third down back Giovanni Bernard is finally healthy, and ready to soak up those sweet, sweet dump offs. 9. Austin Seferian-Jenkins will be the highest scoring New York Jet receiver by the end of the season, even after missing the first two games. I mean, we may be stretching the definition of the word bold to the breaking point here. Who else are the jets going to throw to!? Regardless, ASJ is a uniquely gifted physical specimen who has been held back by his personal demons. Coming into 2017, the demons are supposedly exorcised. 10. Larry Fitzgerald will be an WR1 through his week nine bye, and a WR3 after. Over the past three years, Fitzgerald has averaged virtually identical targets per game in the first and second halves of the season (6.08/6.04). However, he’s started hot all three years (73 yards per game and .58 touchdowns per game) before running out of steam (56 yards per game and a piddling .13 touchdowns per game). Fitzgerald is a great target early in your draft, just make sure you trade him before his Bye. 11. Bonus: Aaron Rodgers will shave his moustache within a week of getting a girlfriend. I’ve been informed that the mustache is already gone. Pity. 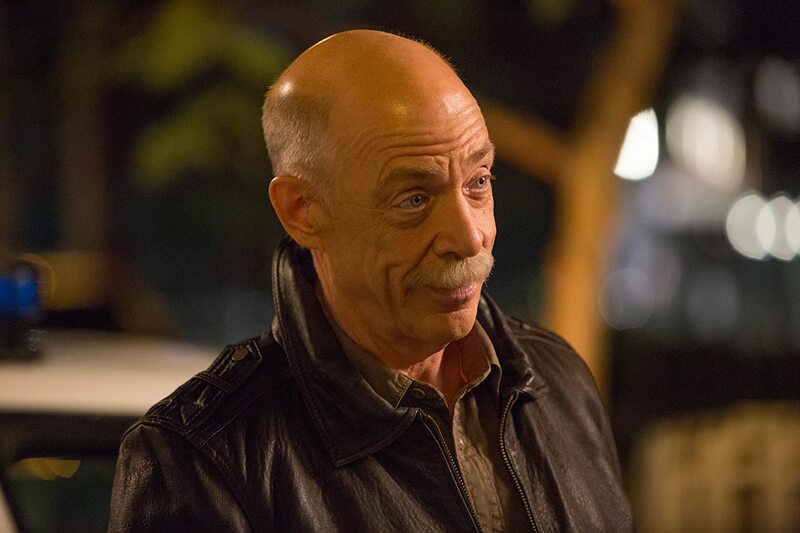 He looks like a young J.K. Simmons.